like the end of the world was just a breath away. I felt was pain. My water broke just as I played chess with my step-mum. see eye to eye with his mum. he still could not handle having his mum helping me through the pregnancy period. He lamented that some of her promiscuous nature could be transferred. Something I never anticipated happened: we became friends with Kelvin. The past was buried and we became family friends. it could not be that painful. idea of what it is all about. opened the door for him. box filled with baby clothes. seat with me at the back. don’t. You would be fine” he murmured, his hands shook as he held mine. refused to allow Richard in. 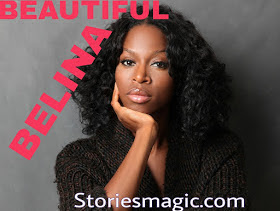 0 Response to "STORY: BEAUTIFUL BELINA (Season 2,Episode 42)"